More documents leaked by Edward Snowden show that the NSA and its British equivalent, GCHQ, infiltrated World of Warcraft and Second Life as part of its international monitoring operation. Reported jointly by the Guardian, the documents show that the NSA believed that the online gaming world was "unregulated" and so "will almost certainly be used as a venue for terrorist laundering and will, with certainty, be used for terrorist propaganda and recruitment." The documents don't show that any successful arrests or intelligence was gained against terrorists, although the NSA did pick up intelligence that led to the takedown a website that was being used to trade stolen credit cards. With voice headsets, video cameras and personal information that's required to log-in to Xbox Live, the agencies had access to a wealth of information. At the time of the operation, Xbox Live had around 48 million active players. The spy agencies developed such a sophisticated and wide-reaching network of spies on the World of Warcraft that the multiple agencies involved had to create a 'deconflict group' to ensure they weren't spying on each other. 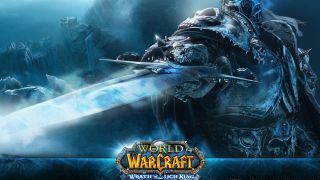 World of Warcraft denied any involvement, saying: "We are unaware of any surveillance taking place... if it was, it would have been done without our knowledge or permission."